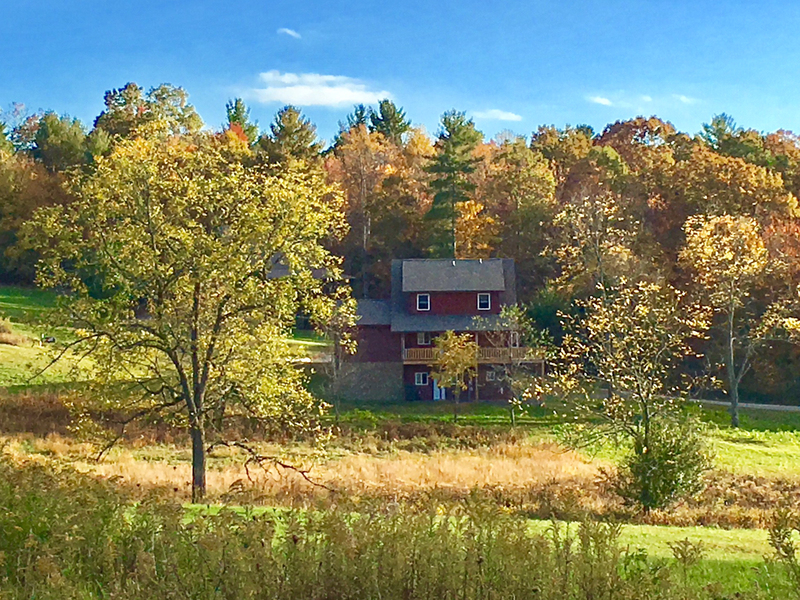 And just as beautiful in the fall season. 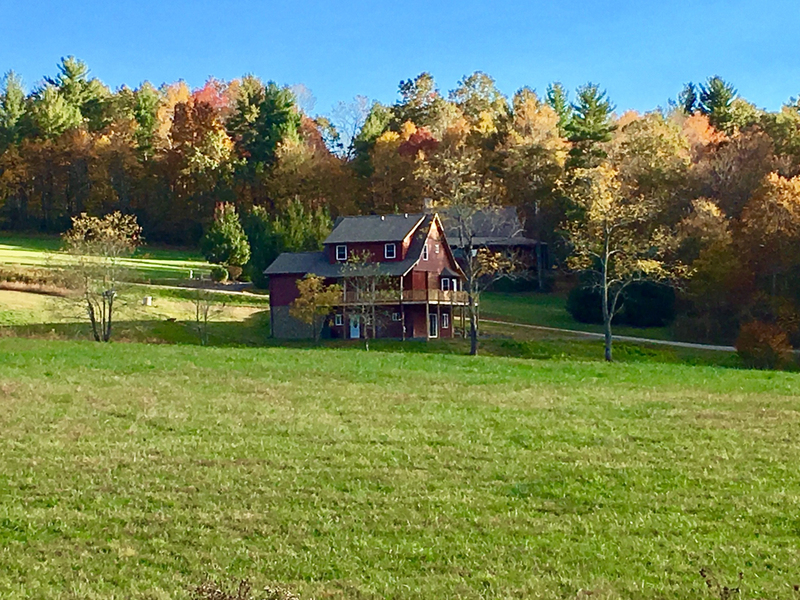 Located in a gated, log cabin community within minutes to New River State Park, 10 minutes to the Blue Ridge Parkway and the Jeffersons. Fully equipped kitchen with dining area for 6. Full size kitchen with lots of work space for your holiday meals. Upstairs master suite with King Size Bed and Futon for 1. Master Bedroom with flat Screen TV and lots of lounging space. Master bathroom with double sinks, whirlpool tub and walk in shower. 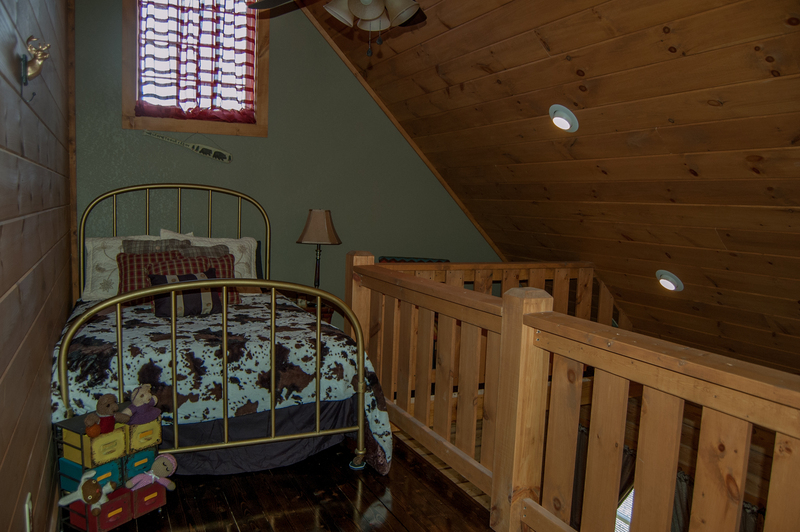 Upper level loft off master bedroom with full size bed. 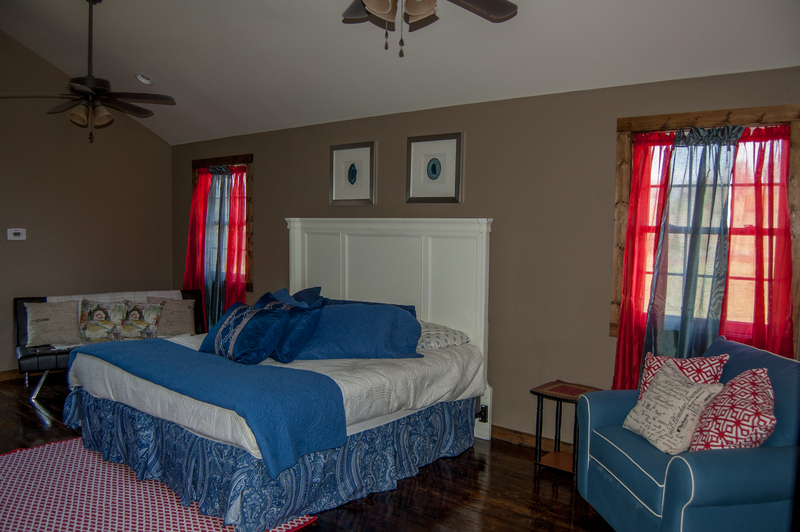 Main level master bedroom with queen size bed and walk out access to the open deck with views of the lake and mountains. Futon for 1. Main level master also offers private bath with walk in shower. Lower level bedroom with King Size Bed and Walk out access to the hot tub. 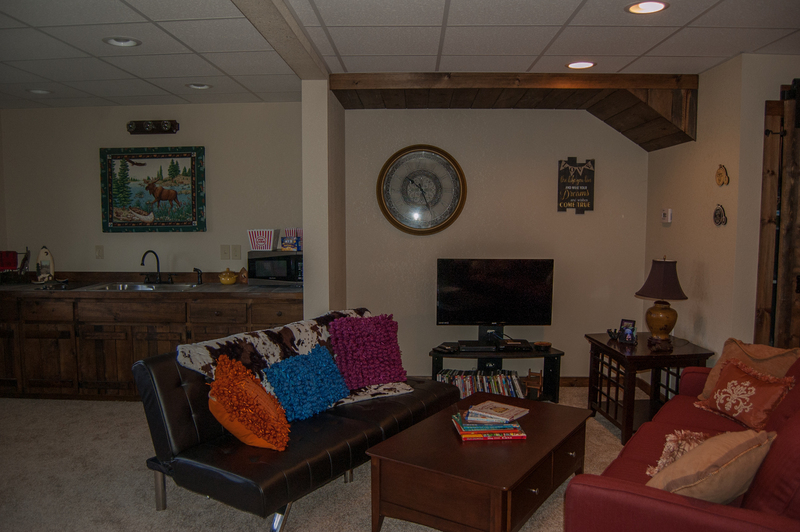 Lower Level Media Room with Futon for 1, Flat Screen TV, Popcorn Station, Lots of Games and more. 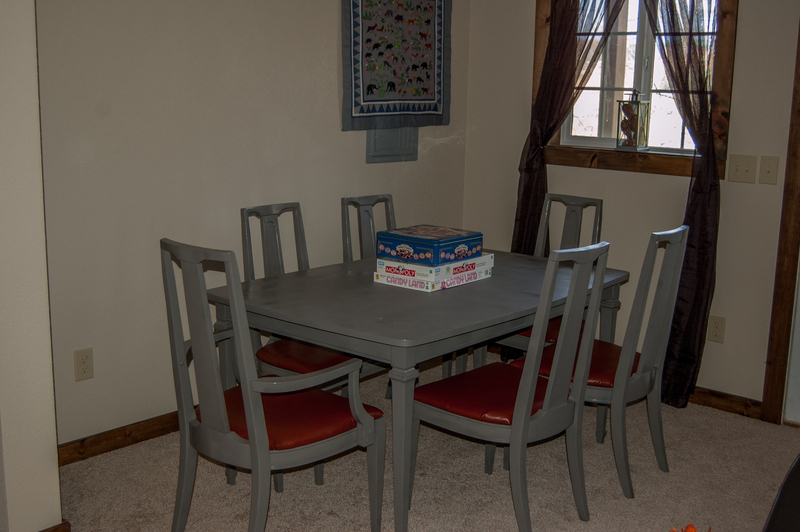 Card / Game Table for 6. 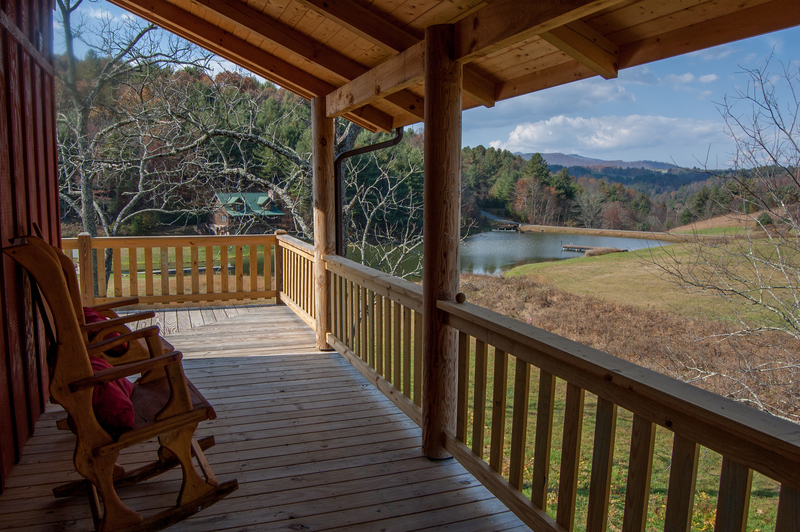 Long Range Views from the Rocking Chair Covered Porch. Open deck area as well. Lots of yard space for everyone! Beautiful views in the winter time. Welcome to Your Gorgeous Log Cabin Home. 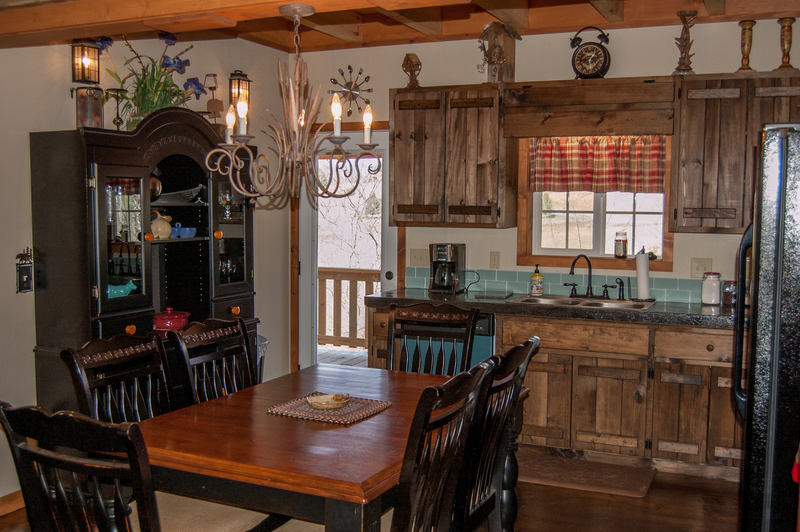 This is what you come to the High Country for: captivating, relaxing spaces - inside and out. 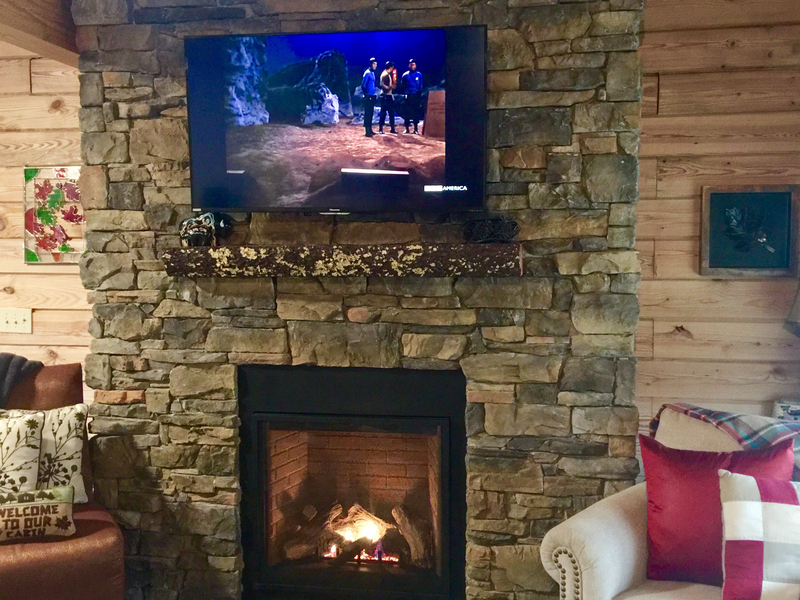 Bring Fido and the whole family to enjoy this mountain haven with all the comforts of home, including the luxury of space. No one has to feel crowded at Kapena Escape - and no one has to compromise. 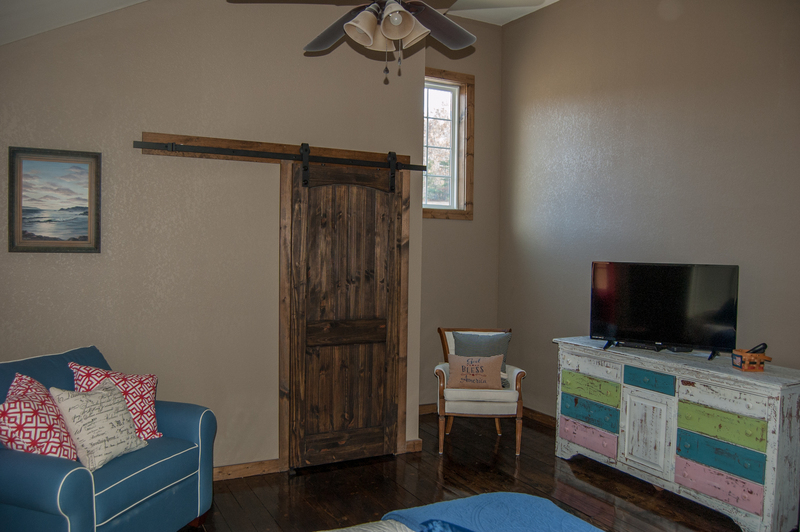 Multiple master bedrooms comfortably accommodate couples, with king-size beds and bonuses like double vanities in the bathroom, or walk-out access to the hot tub. 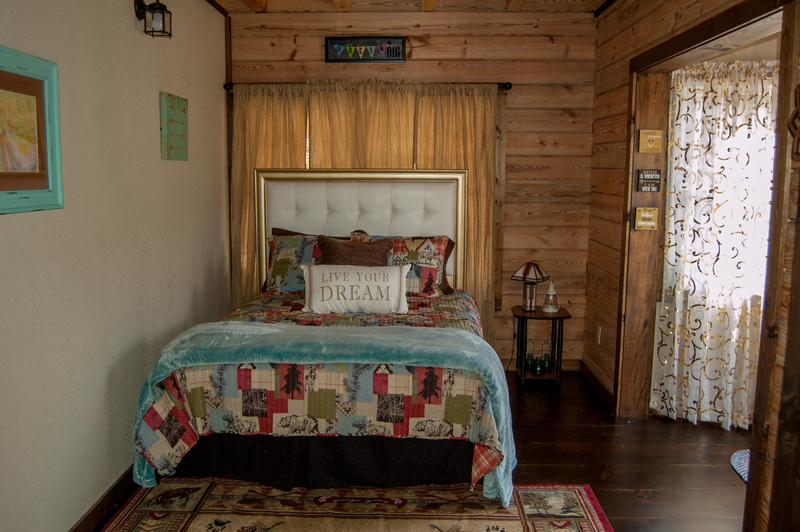 The house sleeps 12 and includes 2 king beds, 1 queen bed, 1 full bed and extra futons. There are also 3 and a ½ baths! .If bringing more than one dog an additional $50 pet fee will be added after your reservation is confirmed. Max 2 dogs allowed. "Me and about 6 friends/family members came up for a 2 night stay. The rental was very clean and the staff was wonderful with all the help. I can say the pictures does not do any Justice to how beautiful this place. It rained majority of our 2 days there so the hot tub and fire pit was out the question. But it would've been nice to have a covering over the tub so it could be used even in a light rain. Also, we couldn't get the TV's to work properly. The one downstairs the remote only change the input so we had to watch one channel. However, the was plenty of space for everyone and we all had a great time. I've already been recommending this place to others. And started planning another cabin trip. Thank you guys so much. " "6 Girls get a weekend away and we booked this cabin. We all work together at a salon and decided to have a weekend getaway. 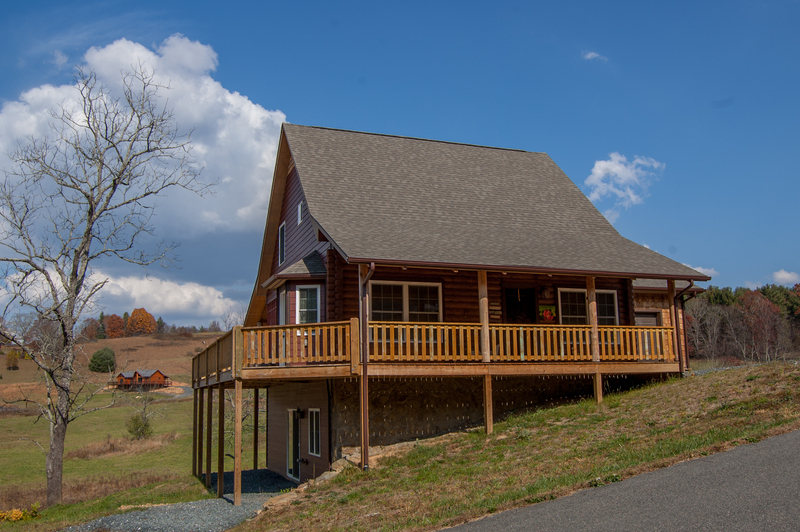 This is the 3rd cabin we’ve rented through Ashe County Realty and we’ve loved every one. I just called Judy to send me some cabins to choose from and we picked this one. Great company to rent from because I like to personally speak to someone so I can ask questions. 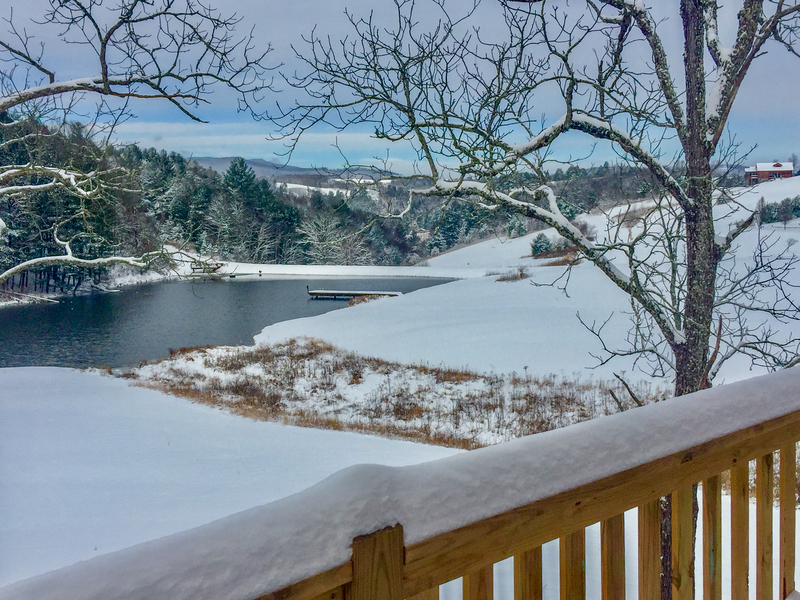 We arrived Friday and didn’t leave the cabin until Sunday at checkout. The views are beautiful and it’s quiet. We enjoyed the rest and relaxation along with the hot tub time. We were surprised the TV had Netflix and thought that was a nice thing to provide for their guest. We will definitely be back. " 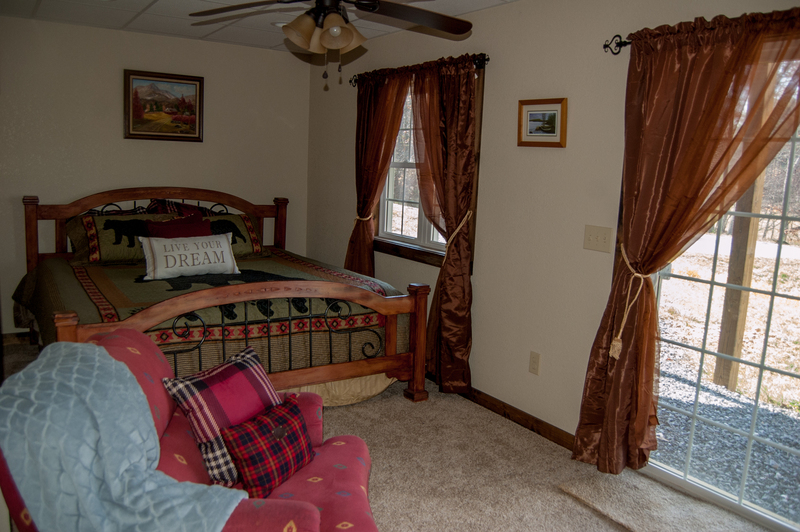 "We take an annual trip to the mountains each year and have stayed in a variety of rental properties. This was one of the best. Plenty of room. Well equipped kitchen. 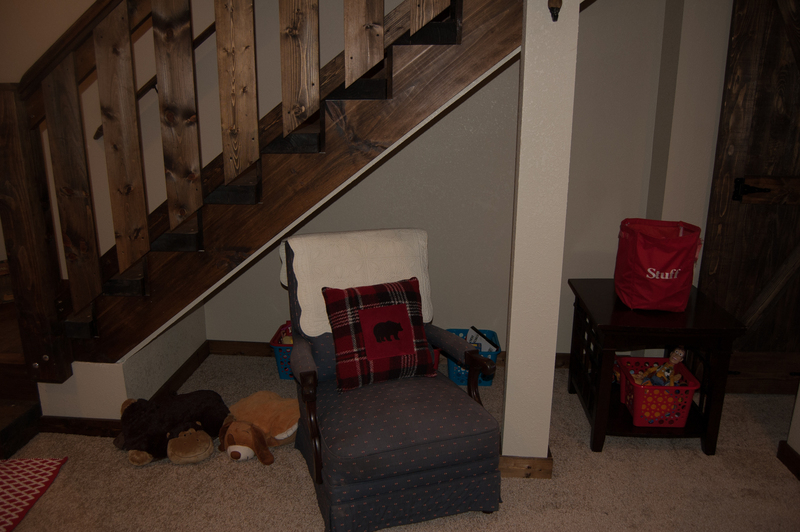 Entire house was very clean (I am one to notice dust on light fixtures etc and take note). Bonus was that we were able to bring our older dogs with us. At their age it is caused them great anxiety to be boarded when we need to travel and so this was a perfect solution. " "Loved this house!We had plenty of room for our family and our friends that came down.Beautiful view and a nice quiet community.The only thing is that it would be nice to have a better fire pit to light fires.The one they had was a tiny metal fire pit but it was full of water.Luckily it was to warm to light a fire anyway.We will definitely rent this house again." "Very satisfied with our stay. Family was here from Florida for our granddaughters wedding hopefully soon we will be back for a vacation. 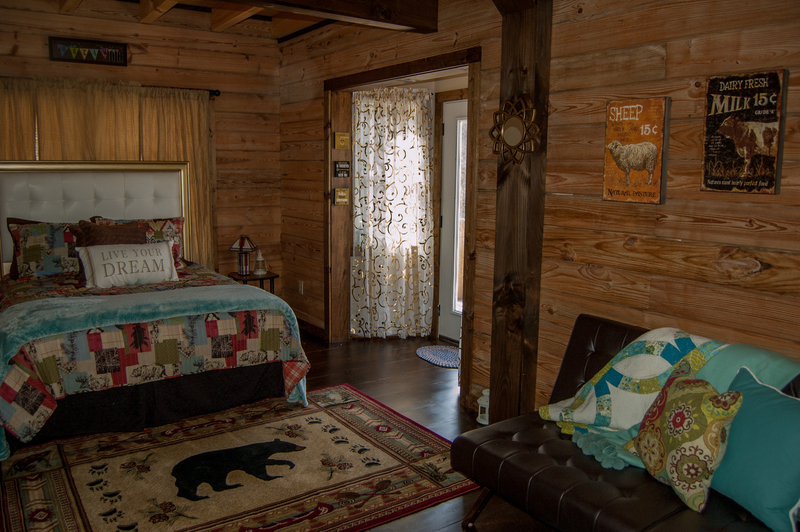 The cabin was beautifully decorated and had all the comforts of home. 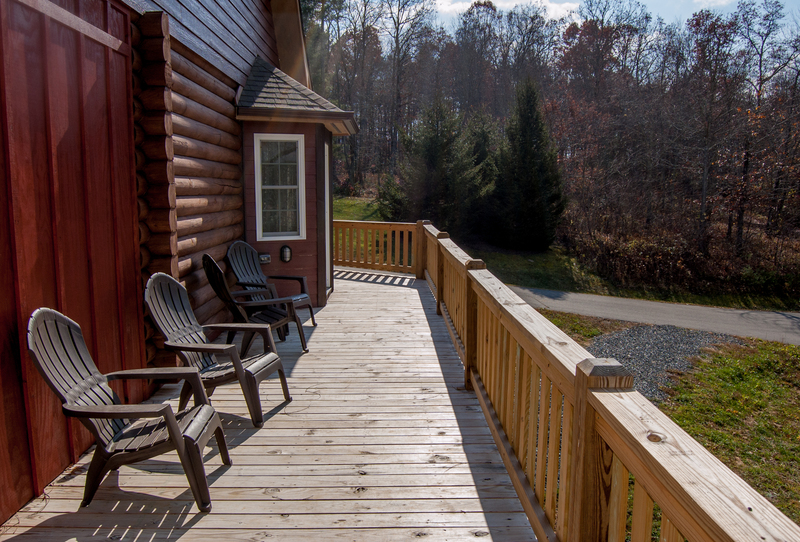 We loved our stay at your cabin. " "Plenty of room in this beautiful cabin. The bedrooms were spacious as well. Loved the wrap around deck and the hot tub under the stars. Super quiet and lovely views. " "Kapena escape was a great place to stay for our family . We especially enjoyed the easy acces to the river , as we love to kayak and tube . The cabin was clean and very comfortable with beautiful views. 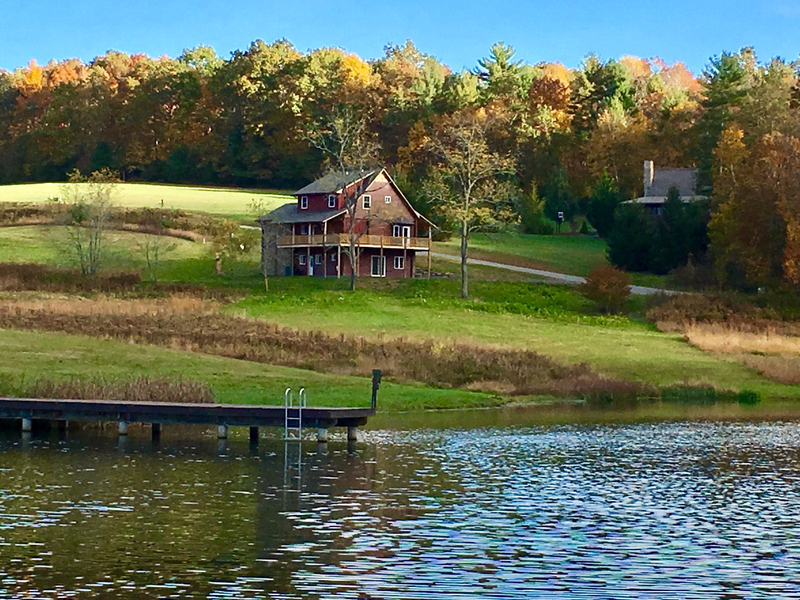 The only drawback was that the property was advertised to be on a lake and it was a pond . We were looking forward to the use of the lake for our boys . We also had planned to Fish ,as had been advertised . Once we got to the property we noticed signs posted not to fish. This was very disappointing. " Thank you for the feedback and note in regards to fishing. We did not realize that fishing is no longer allowed, we're making the change to the property details. There is New River State Park and public access to the New River only minutes away for fishing for future reference. "This cabin has it all. Three master bedrooms, one on each floor. 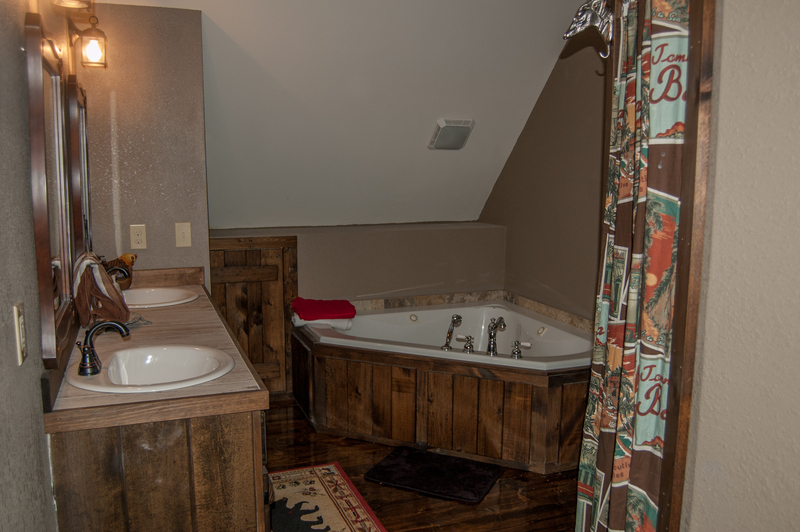 The upstairs bedroom has a Jacuzzi tub and a walk in shower. The hot tub out back was great. It is a very short drive to the river access. We put a canoe in at a bridge (Walt Sheets Bridge) a few miles away and basically floated back to the house in about 1.25 hours +/-. I couldn't have asked for a better vacation, except it wasn't long enough. We were a group of three couples and one child and a dog. Plenty of room for 7 people. We tried fishing in the pond, but I don't think there are fish in it. " 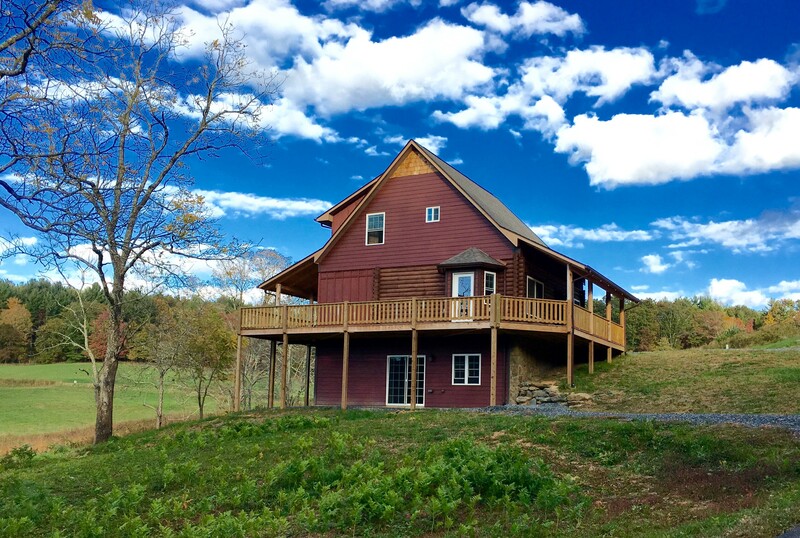 "The cabin is beautiful! It really has everything you need for a nice quiet weekend away. 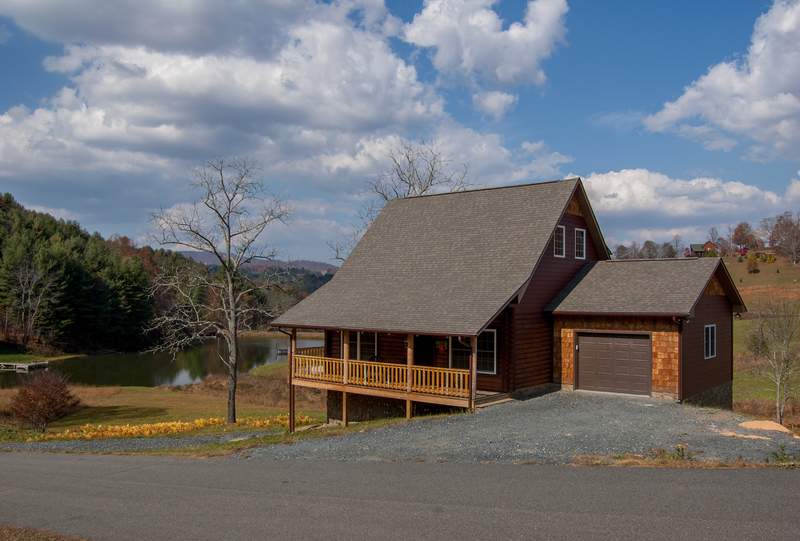 It is close to town, the Blue Ridge parkway and other great site seeing spots. The only problem we noticed was the WIFI was very spotty and if you want to stream movies or try to work, it will prove to be difficult. Thankfully we didn't need the wifi for our weekend. " "Great place to have a great time with family and dogs,quiet, relaxing...."
"Our family had a wonderful time. Location was perfect and views breath taking. We only had one small issue with internet service for a couple days. All in All would definitely recommend and come again." "Every year we take my parents on a trip to the mountains. This year we stayed at Kapena Escape. The house was amazing. We had more than enough room for 8 adults. My dad absolutely loved the wrap around porch. I think he spent most of the trip on there. My children loved the hot tub. And my mother loved the mountain views. The basement was like another house. We rode around Jefferson and looked at all the sites. We are thinking about renting it again next year for our family vacation. " "Our stay at the Kapena Escape was wonderful! 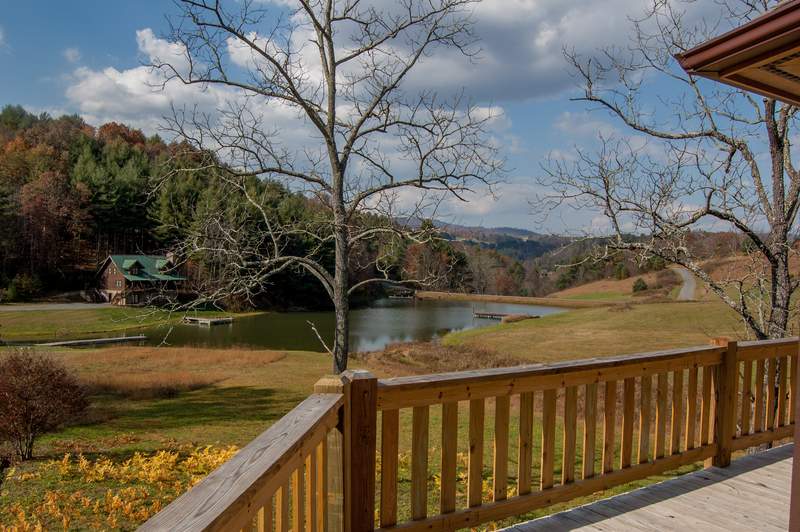 The location is beautiful, we loved the cabin's mountain views while being in a gated community. Our dogs loved the yard to watch the wildlife and loved being taken for long walks around the neighborhood. The cabin was equipped to our satisfaction. We cooked almost every meal there. We had plenty of space to not be crowded on top of each other for 8 people and all the beds were comfortable. We only had one issue which the management staff was very professional and quick to respond. We loved the cabin and plan to have future stays. " "The place is beautiful with a lot birds and rabbits. The place gives you the opportunity to relax. I went to different places near by, so everything was great." "The place was very nice. However, the kitchen has no pantry space for groceries and there are not too many options for cooking with regards to wooden utensils to use with the teflon pans. Otherwise, the place was great." Thank you for the feedback. This is a brand new property and new to the rental program so we work on opening up some additional cabinet space as well as add some wooden utensils. 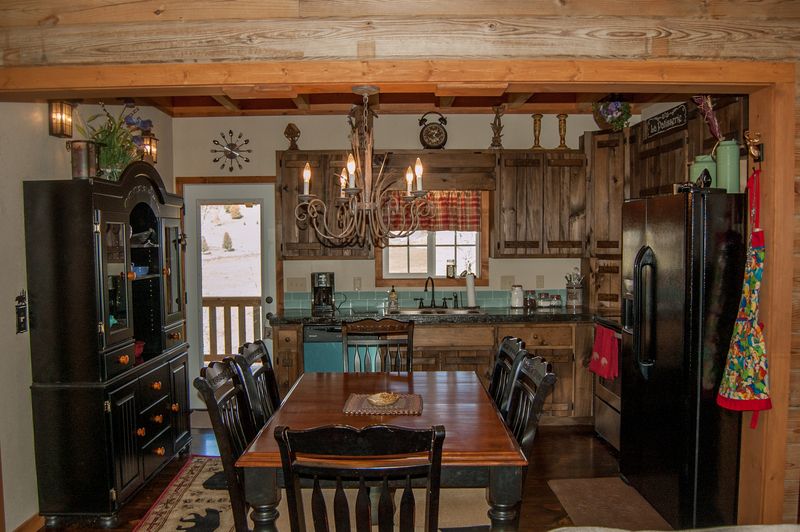 "This beautiful cabin has all the bells and whistles! 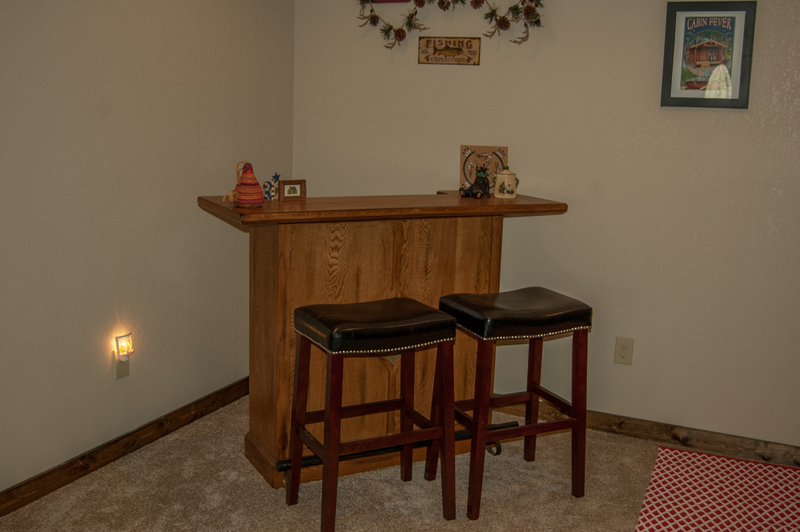 It is beautifully decorated and has anything you might need and more! I traveled with 8 women for a girls trip so the gated community gave us a sense of security! The neighborhood is beautiful and the homes are so far apart that you don't have to worry about noisy neighbors. The hot tub was pristine and the house was as well. Very well kept and fells like home. We will definitely return!"